1)Candidates who wish to apply for TSPECET-2017 are requested to fill the particulars carefully in ONLINE APPLICATION. The required information should be collected from the relevant documents. 2)Candidates are requested to check the filled in particulars before pressing SUBMIT button DURING online application. If candidate wish to change, he/she can change selecting the EDIT button. After verifying and satisfying, submit the ONLINE APPLICATION. 4)Documental Information can be collected as mentioned below. 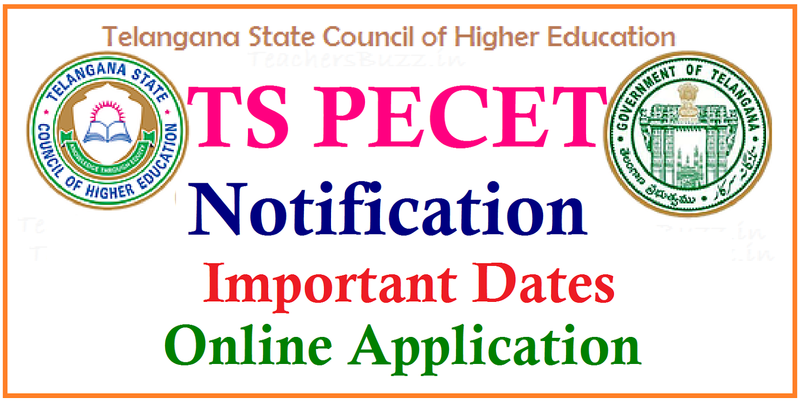 Examination Center to which candidate wishes to appear TSPECET-2017 exam. 7) You will not be ALLOWED to take exam if you are late, we suggest you to reach the exam centre before exam starts time.